The Okeanos, is the third vessel of the Poseidon class (Type 209/1200); you may compare Okeanos with the fourth member in the class, Pontos, that was not upgraded here. 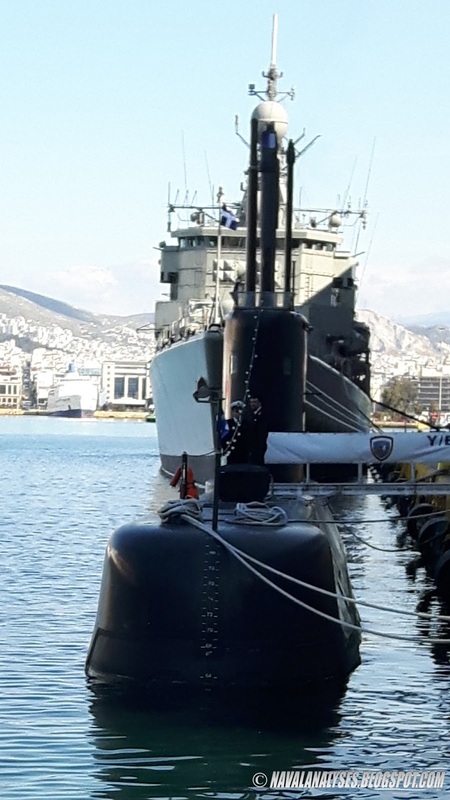 The boat was upgraded with an air-independent propulsion (AIP) system, modern electronic equipment (flank array sonar, modern fire control system, electro-optic mast, SATCOM, ESM and sub Harpoon firing capability among others) and noise reduction measures at a Greek shipyard as part of the Neptune II program, and re-commissioned into the Navy in 2014 (the ships had been launched though in 2009). 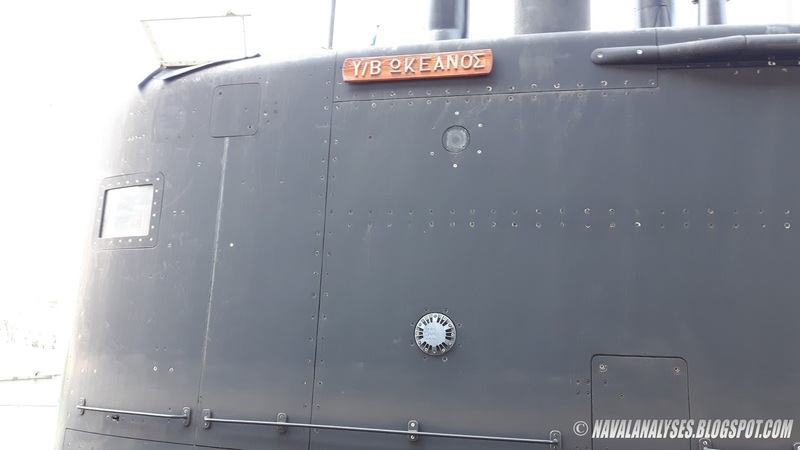 Okeanos was launched officially at the premises of the Hellenic Shipyards, in Skaramagkas on October 20 of 2014. 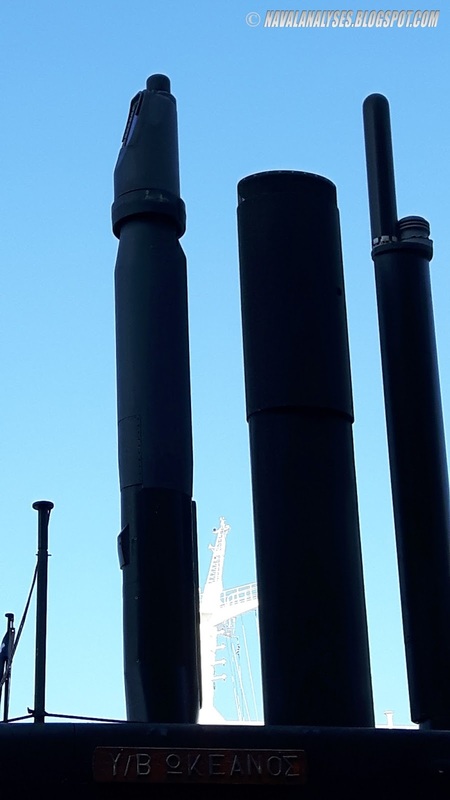 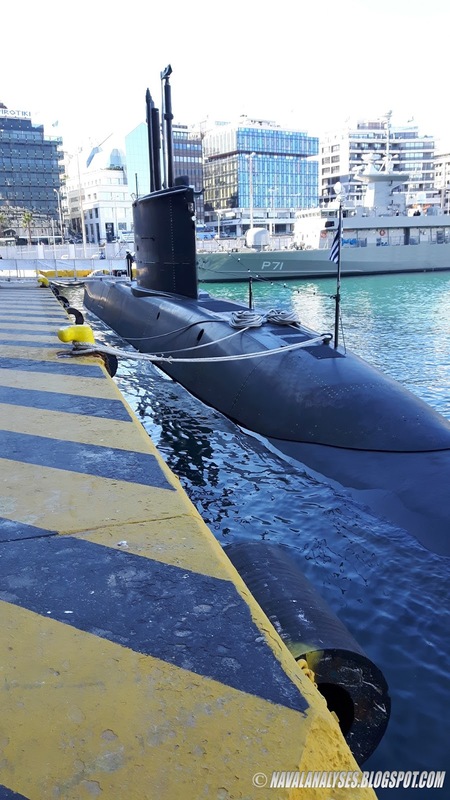 This is the first and sole Type 209 submarine worldwide until today that has been upgraded with the addition of the Siemens AIP system, a technology that allows Okeanos to operate without need of atmospheric oxygen (using a snorkel). 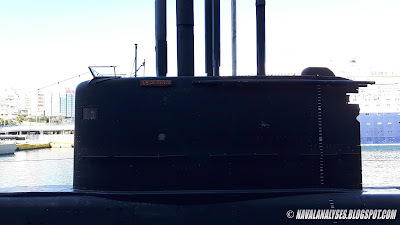 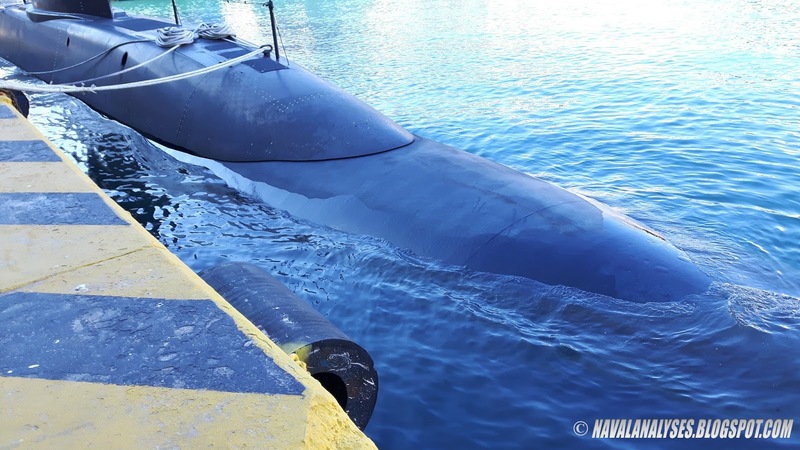 The addition of the system increased the length of the submarine from 55,8m to 62m. 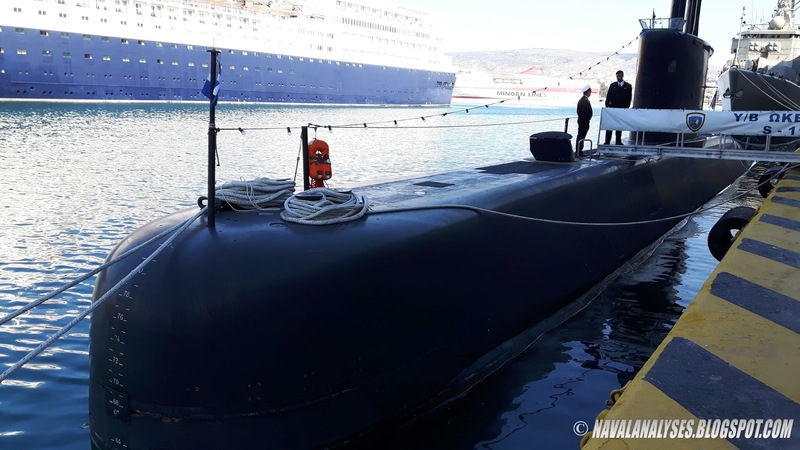 The boat now has the designation name Type 209/1500 and it is equal in capabilities with the new Type 214 submarines according to its commander. 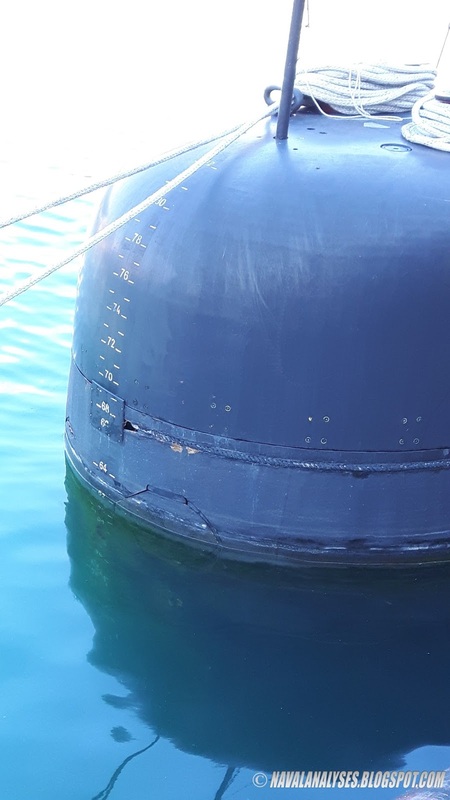 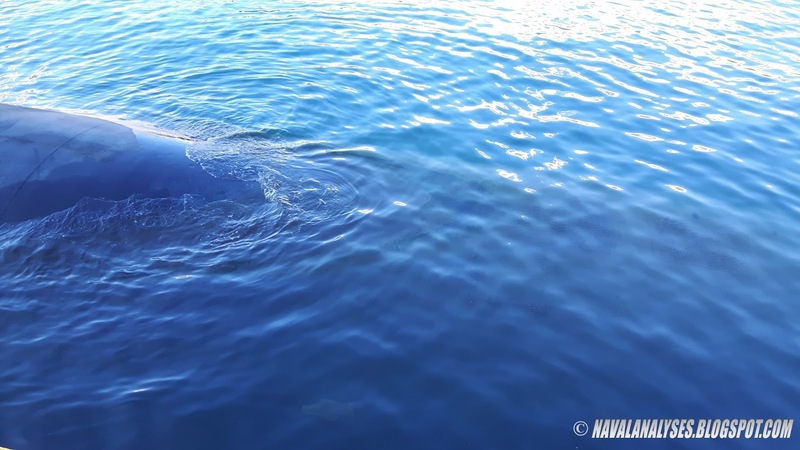 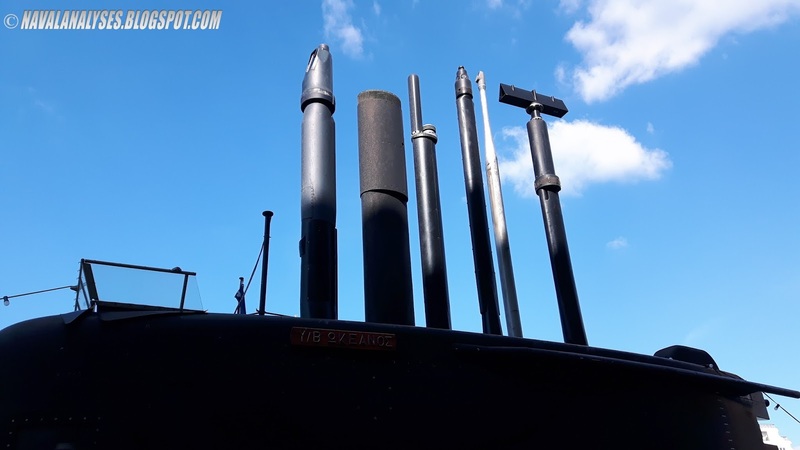 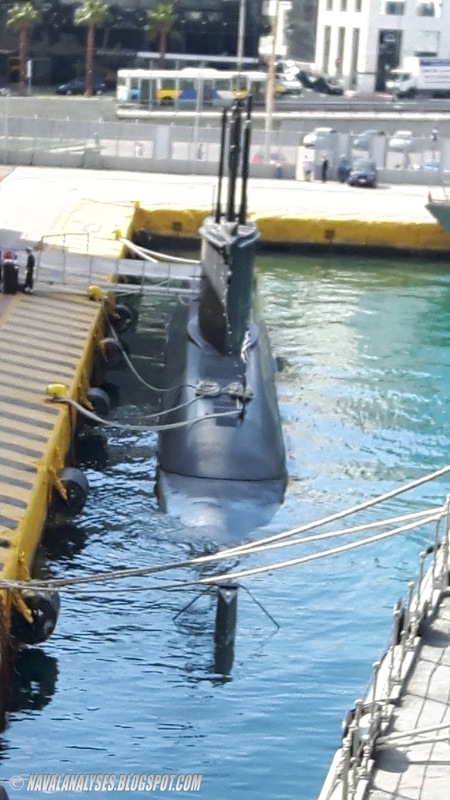 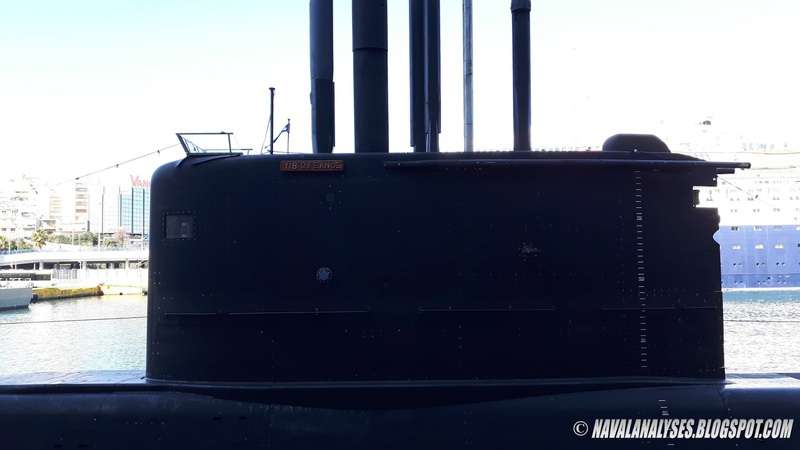 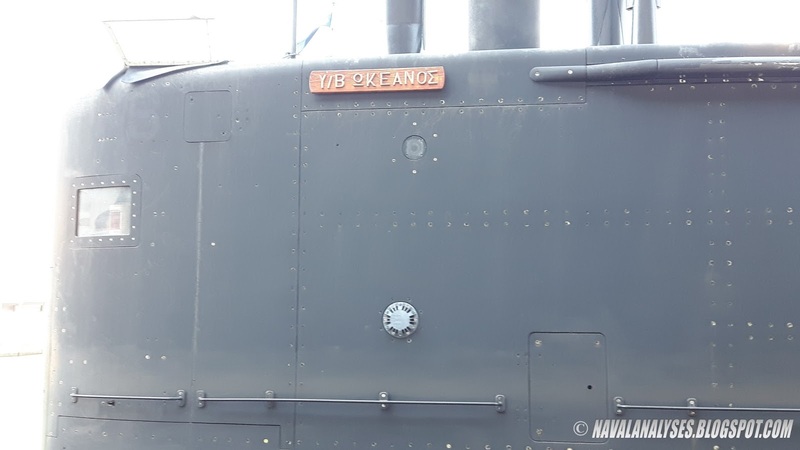 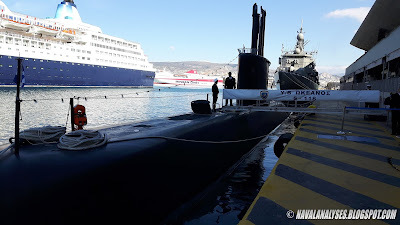 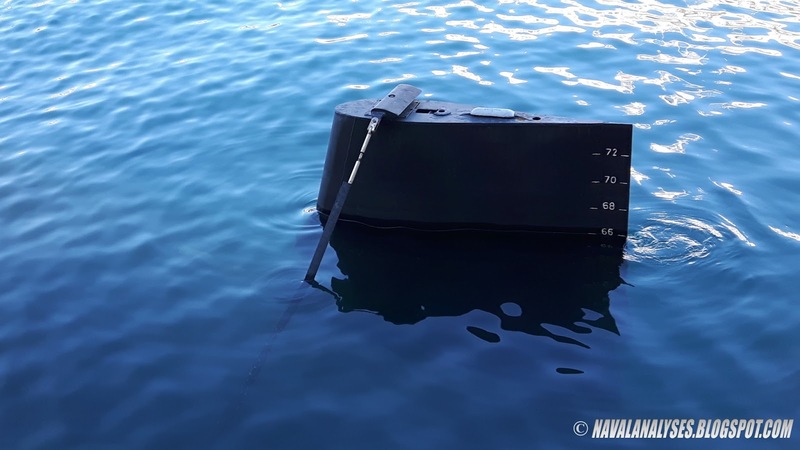 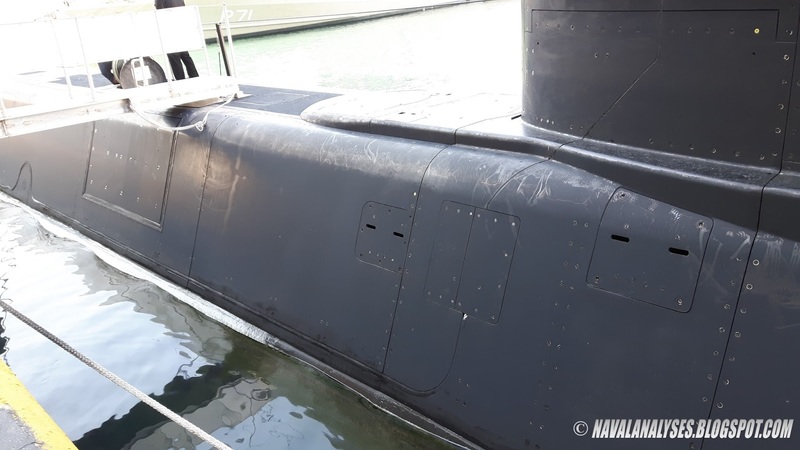 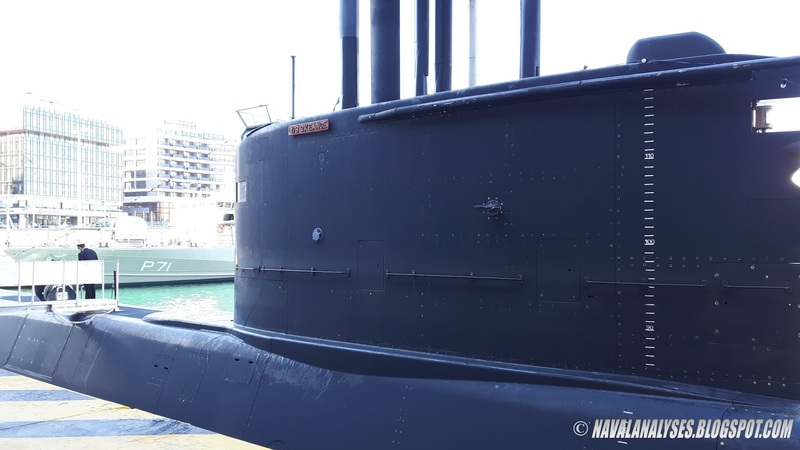 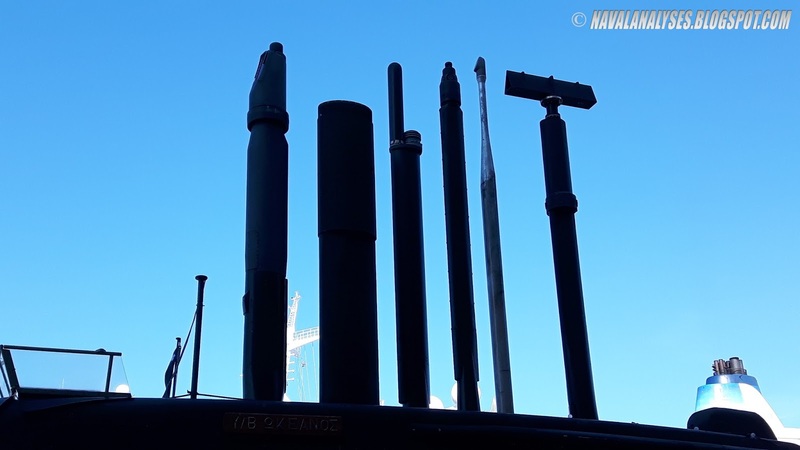 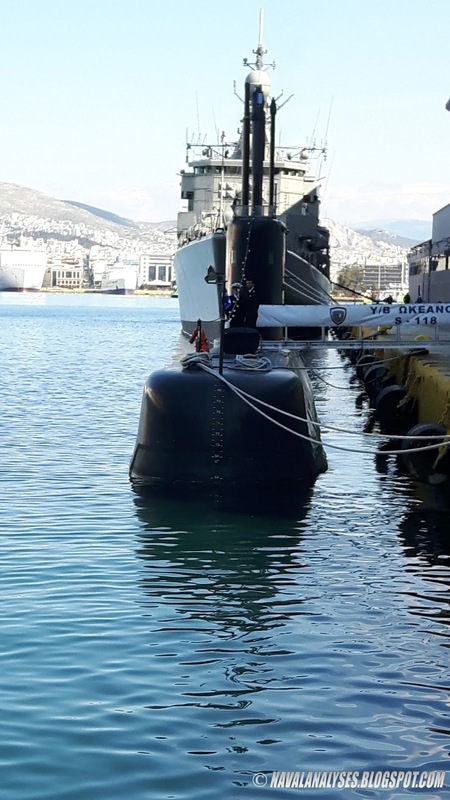 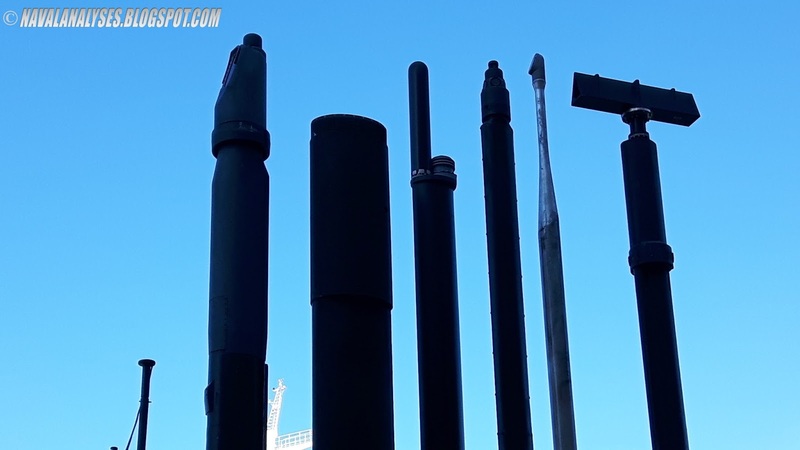 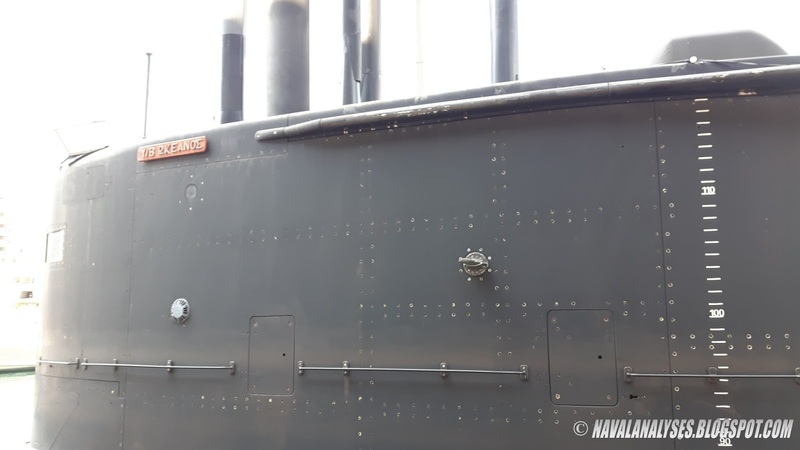 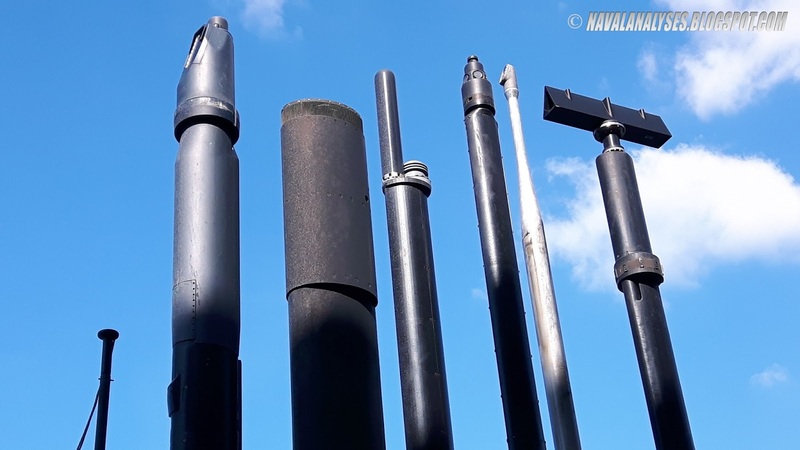 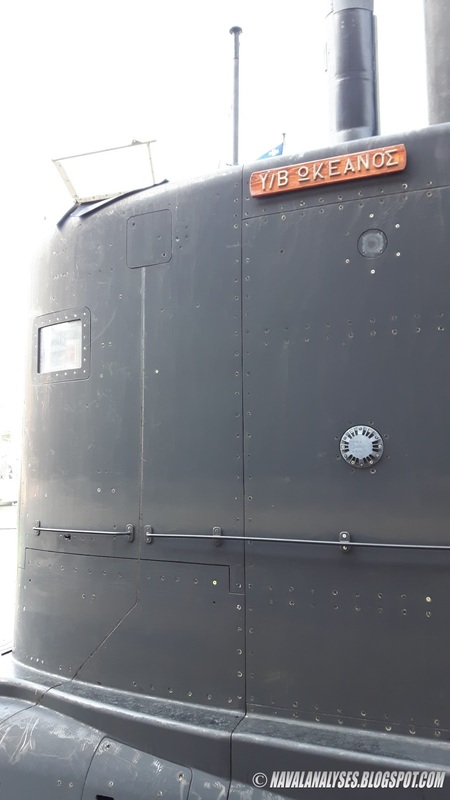 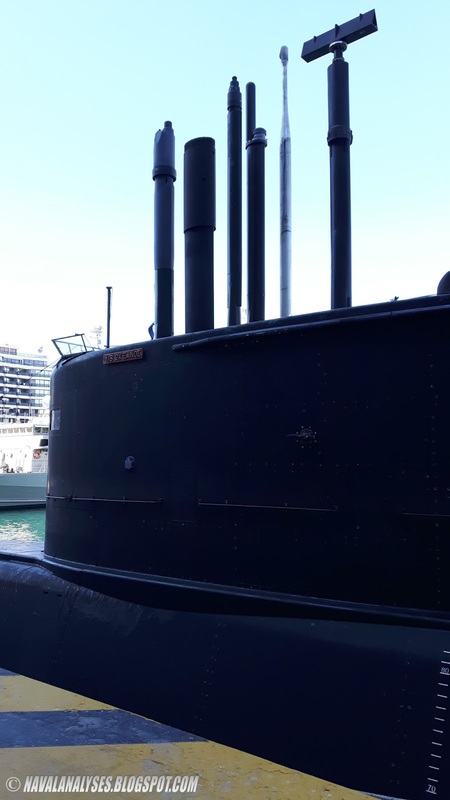 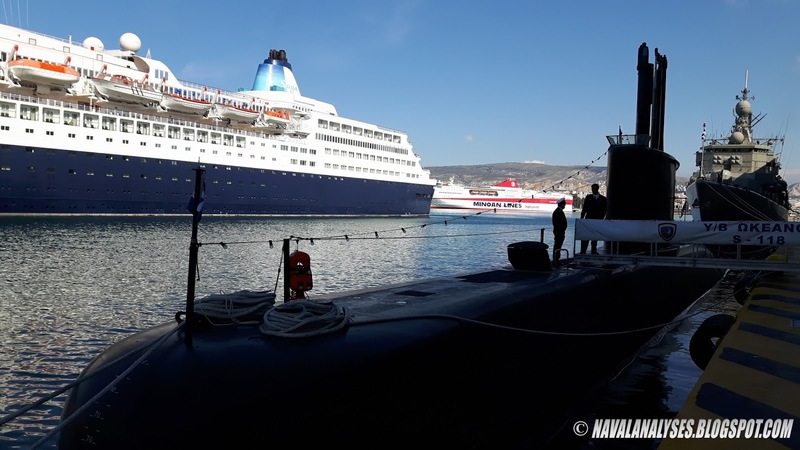 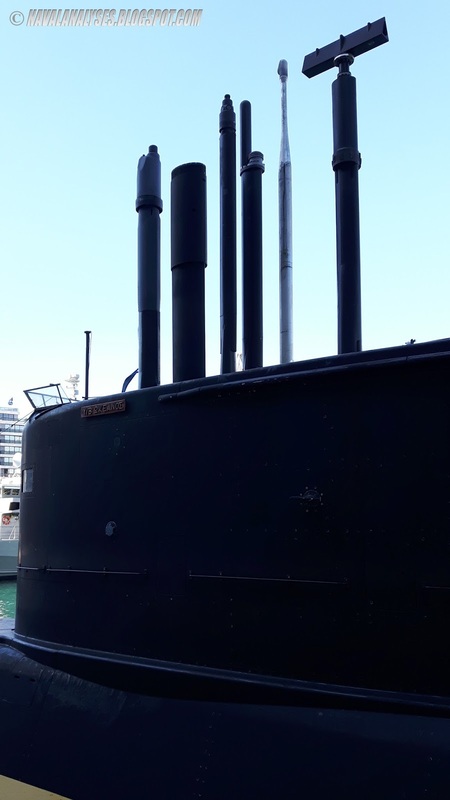 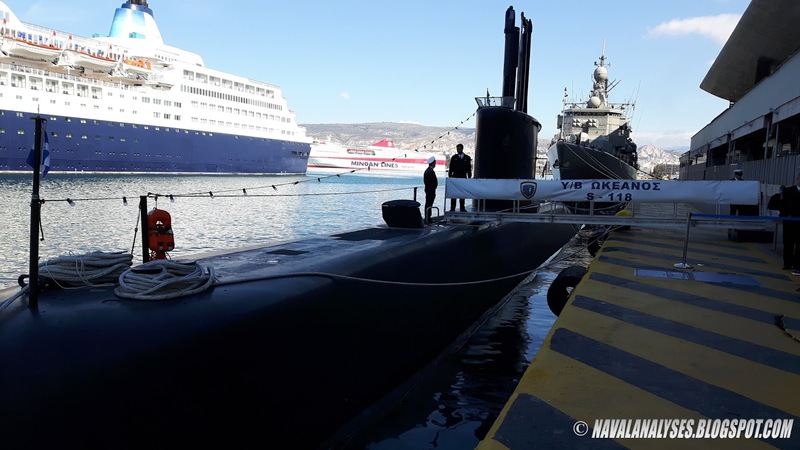 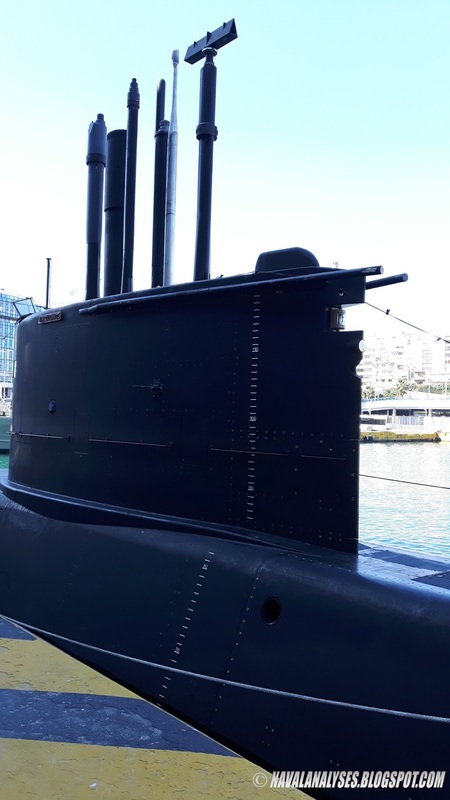 It is the first time worldwide that such a complex project had been carried out on a Type 209 submarine and indeed for the first time ever entirely in Greece. The program was cancelled though for the rest three boats in the class in 2009. 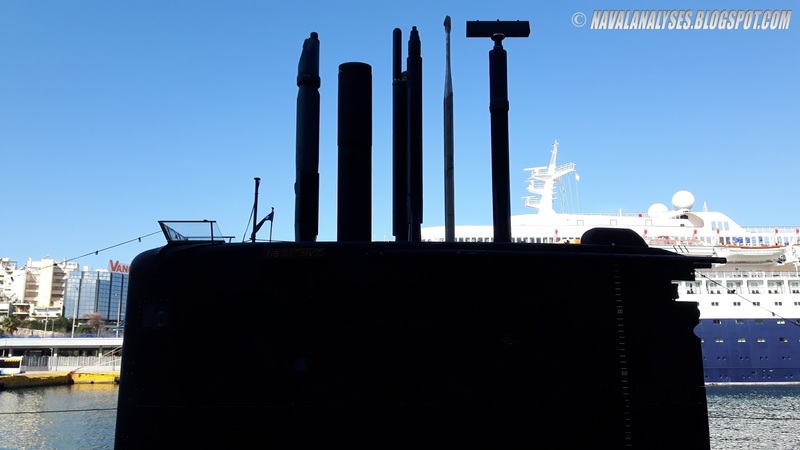 I would like to thank a lot the commander and the crew of Okeanos for their extreme kindness as well as for the private tour (once again, because of getting there early in the morning, I was completely alone in the tour where I stayed enough time for plenty of questions). I should mention that photos of the interior were forbidden, a common practice that applies to all Greek ships and boats. With this boat, I have visited all the classes of Hellenic navy submarines. 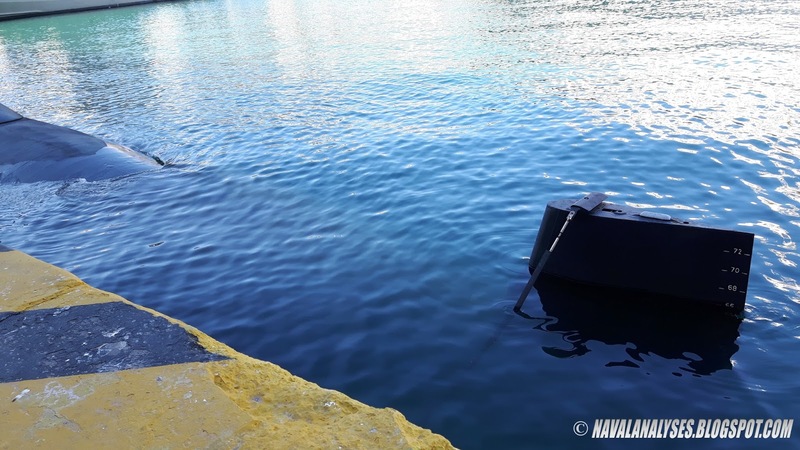 Σας ευχαριστώ!